For students who have chronic conditions such as Fibro- Myalgia, MS, Parkinson’s, Low Back, Sciatic Condition. Easy does it. A great way to experience a Yoga class, if you have been hesitant or timid about starting. You will learn the basics in a lovely, climate-controlled room, taught by a Yoga teacher who has over 30 years experience. You can bring a friend or a family member with you. 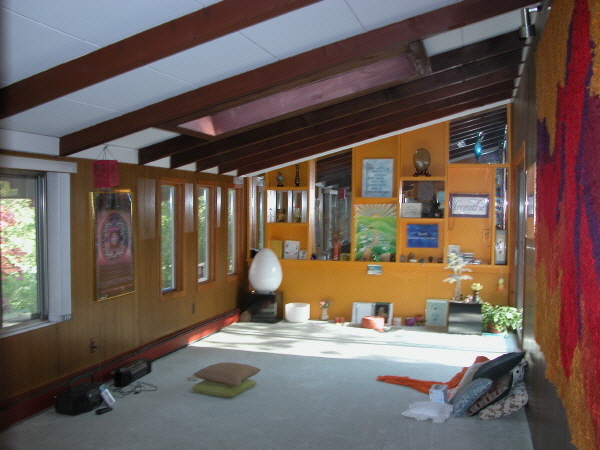 Visit www.gracewelch.com, click on Yoga Studio and see the space. Call 631-348-7199 to reserve. Small group of Yogis come together to meditate in group, followed by sounding of Chrystal Bowl vibrations. We then have a reading from Sw. Vishnu Devenanda’s “Meditation & Mantra”, sharing thoughts and Prasad. Remember I offer private classes of Yoga for Recovery for those in 12-step programs. Call 631-348-7199 for more information. YOU ARE NEVER TOO YOUNG OR TOO OLD TO LEARN YOGA! I WISH YOU GOOD HEALTH, GOOD FRIENDS, GOOD TIMES!